For those of you that are military families, you’ll be happy to see that we’ve also included commissary coupons, when available. Unfortunately, our local Publix stores are beginning to view military coupons as manufacturer coupons because they scan as such. Still great to see what’s available. And now you can stack a military coupon with a competitor coupon, so all is not lost. * Publix (Oakbrook/Dorchester Rd) is no longer stacking their store coupon along with a manufacturer, and a competitor coupon. You will only be allowed to use a maximum of TWO coupons on ONE item, as long one is a manufacturer. *Per Store Manager (Oakbrook) the penny item is ONE per customer NOT one per transaction. Therefore, if you are doing more than one transaction in a single trip, on Sundays & Mondays, please only grab the penny item once. If there are things that you would like to stock up get to ordering your coupons now. 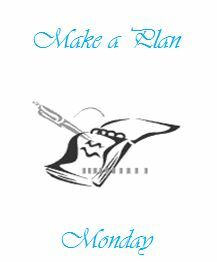 Welcome to our first week with Publix: “Make A Plan Monday”. I truly pray that this will help someone out there who is still wondering just how to put a “deal” together, aside from his/her normal grocery trip, in an effort to continue to reduce that overall grocery/household expense. Please remember that this is only a guide to teach you how to put together potential deals for items in which you would like to add to your stockpile while they are on sale and can use coupons on. If there are items listed below in which your family does not use or will never even try, switch them out with an item that is around the same price, with or without coupons. Or, you could simply be a blessing unto another and seed the undesired item! Additionally, ADD any items that you may have that will produce OVERAGE to further reduce your OOP (out of pocket) cost. What is overage? Overage is the result of a sale, or regularly priced, item being lower than the value of the coupon. If your store allows, the difference will trickle towards the remaining of your items purchased. **As with the CVS & Walgreens Challenges out there, I’m going to try to keep these at or below $5. My goal is to begin posting it earlier during the day so that you will have the opportunity to order any coupons you may not have. Preparing for the New Week: Order Qs TODAY! DISCOUNT! I have to run out right quick, but I needed to share something with you. In preparation for the New Week and upcoming Make A Plan deals, there are a few coupons in which you should go order TODAY! Kuntry Klippers sent out an e-mail last night in honor of Mother’s Day. To assist us with saving and as a Mother’s Day gift, they’re providing us with a 15% discount on all orders. ***You could also purchase a set of (20) Schick Hydro razor coupons, while on the site, and pair it with the same coupon above from the Green Advantage to make the razors FREE and add a good FREE high value item to your Make A Plan deals to reap your stockpile item easier. The Schick Hydro coupons are currently twenty (20) for $7.89, of which the discount would apply to reduce. So you would pay the cost of one razor for twenty coupons that will result in all of them being FREE. The coupons are already in sets of twenty (20) on the site, so upon checkout do not enter 20 in the quantity box as that’s a request for 20 sets of 20. If you want one set of 20 leave the one in the box. Each of the sets listed above are for a $1 ea. so you’ll pay $3.00 for sixty (60) coupons! But to make it even better, enter code: HAPPYMOM during checkout to reduce your cost by 15%! Total OOP, including shipping will be $2.95. Even if you don’t need twenty of the above items for yourself, consider purchasing them and allowing them to be part of your “seeding” during the week into the life of someone else. Your church, neighbors, family members, Father’s Day gift basket, etc. Let me know in the comments what you’ve ordered and what your stockpile desire is. HUGE thanks to Kuntry Klippers for the seed!